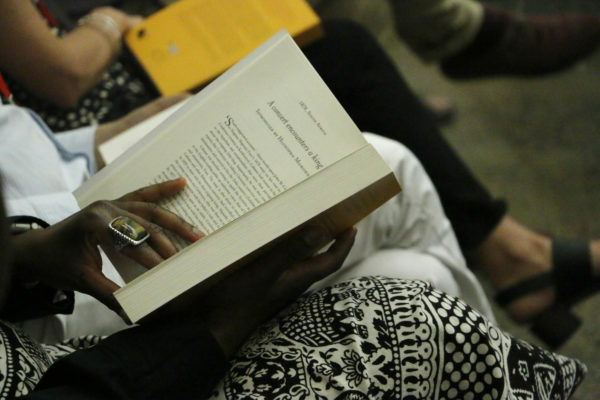 A book launch that ended day one of the African Investigative Journalism Conference brought together some of the major contributors to a new collection of investigative articles. 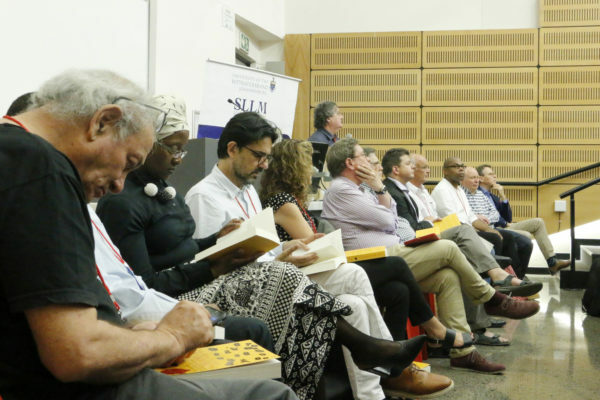 The launch of a book titled Southern African Muckraking concluded a packed programme on the first day of the annual African Investigative Journalism Conference (AIJC) held at the University of the Witwatersrand. With 47 exclusive investigative journalism case studies contributed by experts in the field, Southern African Muckraking provides both support and encouragement for investigative journalism. In each case, the contribution consists of a piece of investigative journalism, accompanied by commentary about its significance. The collection was compiled in only six months. The book’s editor, Anton Harber, said at the launch that it acts as an extraordinary teaching resource to young journalists. The book involves highly skilled and meticulous research that, when woven together, paints a picture of the history of investigative journalism over the last three hundred years in Southern Africa. 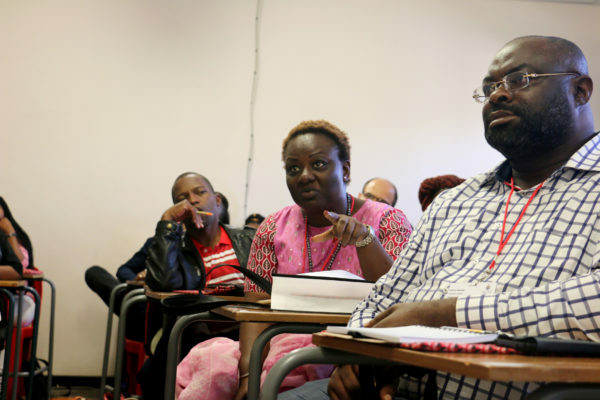 Southern African Muckraking draws attention to the crucial role that journalists play in constructing impactful stories. Harber, Caxton Chair in Journalism, said that the book begins with investigative stories from South Africa, and as the reader progresses to the end, “you suddenly see a spurt of activity in other countries”. Contributors attended the launch of the book and discussed the significance of their chapters. Many of the 37 contributors of the book were present to shed light on their contribution, sharing accounts of their research and knowledge. New York Times correspondent and contributor Ron Nixon discussed work on the illegal trade in rhino horns as an organized crime syndicate in Southern Africa, which forms one of the chapters. Another contribution deals with Magema, Magwaza Fuze, a prolific Zulu writer and journalist in a time of racial inequalities and the challenges he faced. Harber said that because of South Africa’s particular history and circumstances, it would not be possible to construct a single narrative of what investigative journalism is. He said that the project revealed how much interesting work had been done. The launch came at the end of a packed day. Among many other sessions, delegates were given exclusive insight into the impact of collaborative journalism regarding the #GuptaLeaks. Investigative journalists Pieter-Louis Myburgh and Sam Sole revealed the formation of alliances between The Daily Maverick, amaBhungane and Media24 to establish both trust between the different media outlets and a mode of storytelling that is compelling to the public. The AIJC also featured journalists from Nigeria’s Premium Times who discussed the challenging processes involved in telling the 2015 story of the killings of protesters by soldiers and police in the south east region of Nigeria. The conference’s opening session saw Channel 4 editor, Ben de Pear, speak about how the British TV service exposed how information gathered by Cambridge Analytica was used to influence elections in the United States and elsewhere. Numerous other panel discussions took place, most of which involved the speakers providing either an exposé, an account of, or insight into a popular story or trend. A strong theme running throughout the first day of the conference was the idea that there continues to be a high demand for journalism that is both accurate and of good quality, as De Pear said in his keynote.